Meridith writes in every genere and tries to reach as many readers as possible with her stories. She lives in Florida right on the beach and uses that location for many scenes in her books. She has written for magazines, news papers, and has been published by many publishing houses under different names. 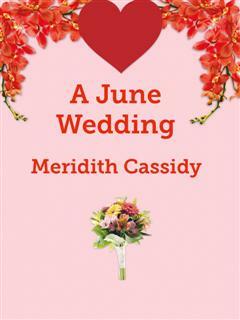 Meridith had planned on getting married in the middle of July. Everything was going as planned until her fiancee learned that his unit would be leaving for deployment one month early. She didn't care what it took but she was going to get married at all costs. So now she had to do some fast planning to make a June wedding come off without a hitch and she only had a few weeks to do it.